The Chicago Blues Festival kicks off tomorrow, bringing three jam-packed days of excellent live blues to Grant Park. 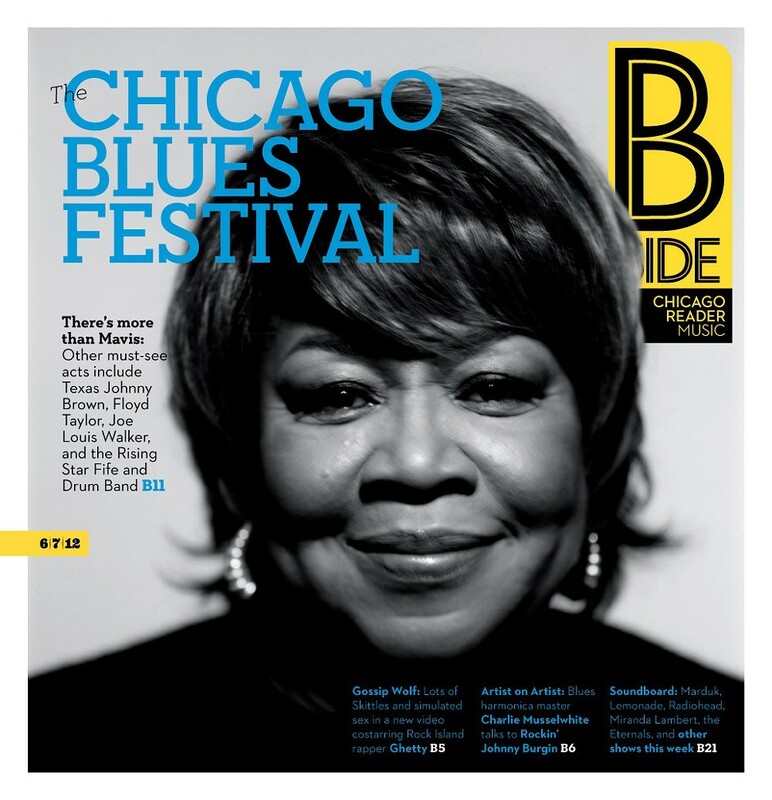 This week's B Side features a guide to the fest by David Whiteis, Bill Dahl, Peter Margasak, and Miles Raymer, which covers the action inside the park as well as a whole bunch of shows happening outside it. And there's more blues in Artist on Artist: guitarist Rockin' Johnny Burgin interviews harmonica legend Charlie Musselwhite, who plays at SPACE in Evanston tonight. Also on the B Side: Ribfest Chicago brings literally tons of meat and live music to Northcenter; there's buzz about Moritat, Ghetty, and Jason Shanley (aka Cinchel) in Gossip Wolf; and, as usual, Soundboard covers all the coolest shows in town, with previews for Clark, Marduk, the Eternals, Dragged Into Sunlight, Dr. John, and Radiohead, among others.